I've joined with multiple teacher sellers for Memorial Day Dollar Deals. 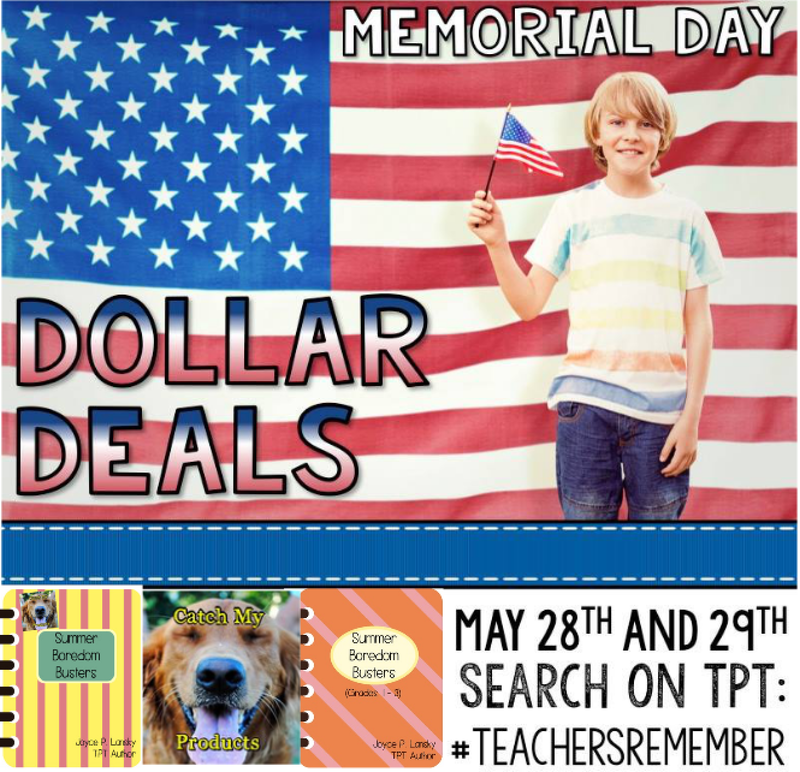 bargains on Teachers Pay Teachers. summer bundles for only $1 each. of puzzles and activities that are fun and engaging. grades 3rd -6th will keep them happy. instrumentals by The Allman Brothers. I hate that Gregg Allman passed. It’s been a long school year and it’s time for a Gift Cards for Teachers MEGA Giveaway. 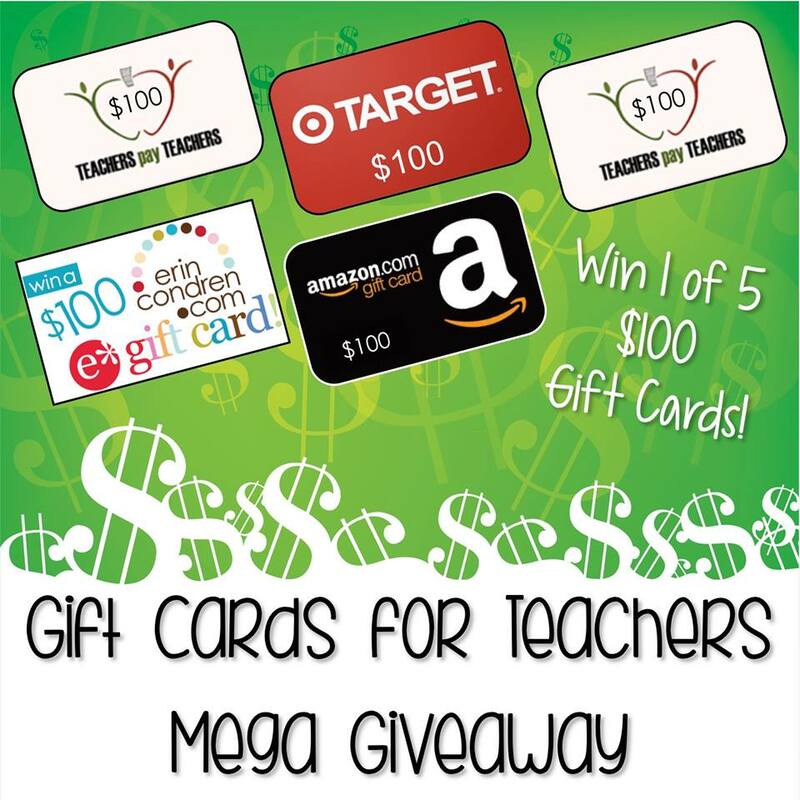 We are ready to reward five LUCKY teachers by giving away five $100 gift cards. 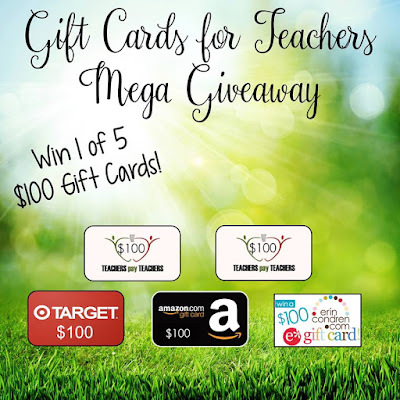 You could win a $100 Gift Card to Target, Amazon, Erin Condren, or Teachers Pay Teachers. 1. Love, like, or wow this post! 2. Click the link below. 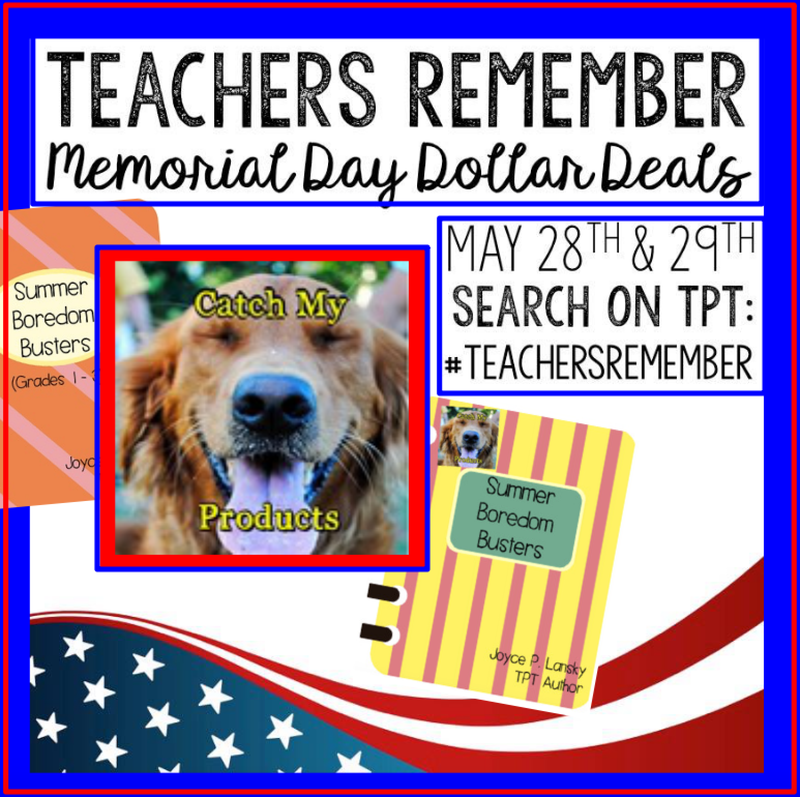 opportunity with as many of your teaching friends as you can! 6. Make sure you scroll all the way to the bottom and like Catch My Products! Also, since it's time for Monday Music Moves Me, here's a song. This is the opening to one of my favorite movies about a contest. If you haven't seen Rat Race, you MUST check it out! First up, from the wild and turbulent 1968, comes a Beatles song that tells it all, Helter Skelter. Next up are the Rolling Stones. I had a tough time choosing one song because Mick Jagger was and is that good. He was so young in the sixties, but in 2017, he still has the moves! As I watch the concert game spin across Facebook, I thought about adding this band at the bottom of my list of those I've seen in concert to see if the young people even know they're a band--that I haven't had the pleasure of seeing. Okay. I cheated a little with that one. Although the band has some good songs from the 60s, I wanted this one, which was released in 1970. Back in college, I went to a bar where they had just finished playing American Woman. A foreign looking man with his shirt unbuttoned and huge gold bling hanging around his neck approached me with his arms spread out and his hips shaking. He sang, "Amereecan Wooman." All I could do was sing, "Get away from me." 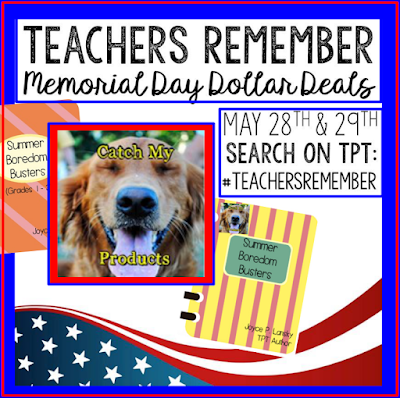 TpT Site wide Sale and Giveaway! 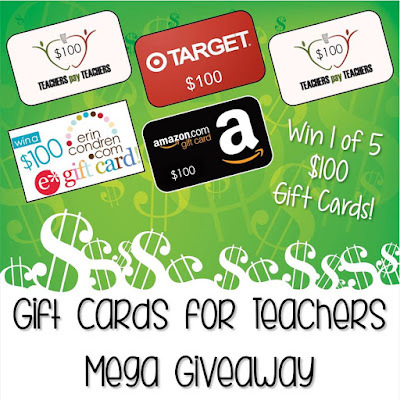 I am just beside myself thrilled with all of the chances you have to win money to spend at Teachers Pay Teachers. Check out this additional contest that I'm helping to sponsor! There is a lot of money to be won. Just click and you are ready to enter. 2. 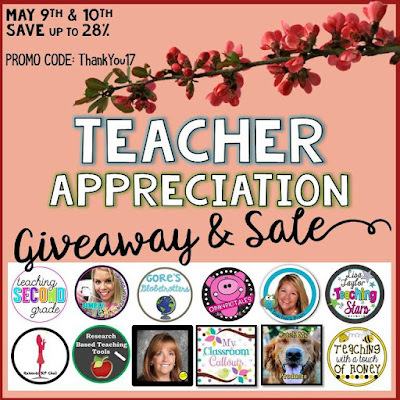 SHARE our Giveaway with teacher friends by writing all your teacher’s friends names in the comment area below. 3. SHARE THIS LINK by hitting your share button to post on your page. 4. 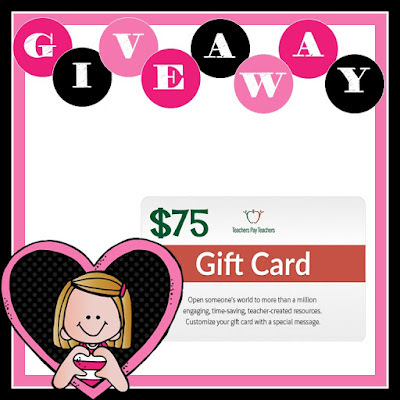 CLICK the link provided below to enter! This giveaway ends Wednesday, May 10th at 10:00 PM EST and our TWO lucky winners will be announced on Thursday, May 11th. 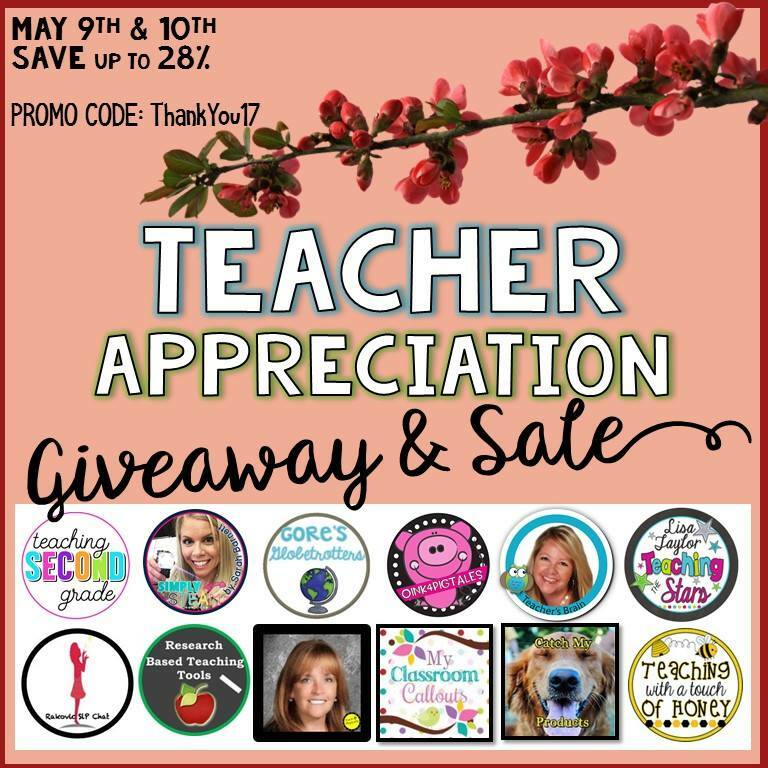 Co-hosts: Kelly Malloy (An Apple for the Teacher), It's a Teacher Thing, Mickey's Place, Reading and Writing Redhead, A Plus Kids, Amanda's Little Learners, The Chocolate Teacher, Heart 2 Heart Teaching, The Literacy Garden, PreK Kristin, Teaching Ideas For Those Who Love Teaching, Teacher Jeanell, Kamp Kindergarten, Leah Popinski, Digging Deep to Soar Beyond the Text, MM Bilingual, Right Down the Middle with Andrea,Trending Technology in Tennessee, A Library and Garden, Kelly McCown, Planet Happy Smiles, Teacher Mama School, Catch My Products, Samson's Shoppe, Glistening Gems, Jackie Crews, and Kathryn Watts. Rules: Use the Rafflecopter form to enter. Giveaway ends 5/13/17 and is open worldwide.